We aim to provide an environment for drug free competitive athletes to train in Weston-super-Mare. We encourage competition from friendly introduction events right upto international championships. 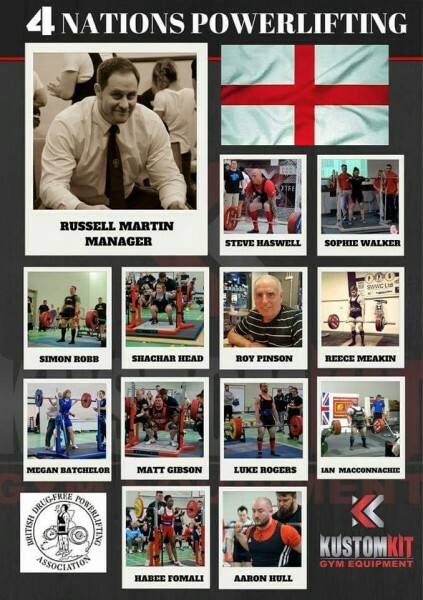 Our club is actively involved in the British Drug Free Powerlifting Federation and the Great British Powerlifting Federation. With members officiating, lifting and managing national level teams. We can help you realise your goals whether that be to dip your toe into competitive powerlifting, Strongman or take your lifting to the international stage. There are many options for comeptetive lifting in the local area which can lead to national and even international level compeititons in various sports and federations. Synergy Barbell is based in Weston however is involved with the BDFPA and GBPF and compete in the south west division but also nationally and internationally. We have lifters, referees and national team managers in our club. We can assist with programming, technique and rules required for competitive powerlifting. We have athletes training for 2017 Highland Games. If this is something you might be interested in or can help with then please get in touch.